Four Corners manufactured home resellers American West Homes, LLC needed a new website to showcase their top quality manufactured homes. 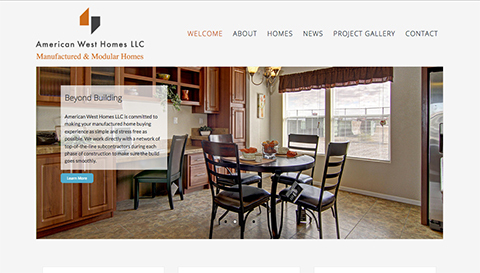 This beautiful responsive website features image galleries of floor plans so future homeowners can browse designs and view models of the manufactured homes offered by American West Homes, LLC. The website includes a blog so the company can communicate project updates to their customers and keep their site content optimized for search engine visibility.